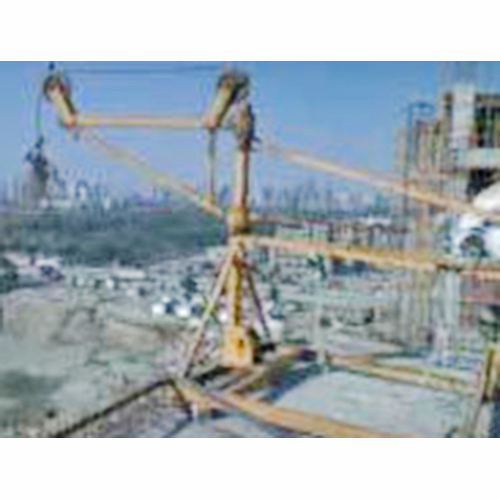 We are one of the prominent organizations engaged in offering a wide range of Portable Monkey Hoist to meet the varied requirements related to the material handling requirement of the Construction Industry. These precision engineered product is suitable for basic hoisting requirements of relatively light equipment/material. We offer these sturdily constructed and dimensionally accurate products in load capacities of 500, 1000, and 1500 lb. (227, 454, and 680 kg). Note: Capacities will vary based upon height of mast and length of reach. Construction companies must have monkey hoist, in order to ease out their tasks that involve lifting and relocating items with ease. Efficient and comfortable moving of items is possible with this kind of hoist. The major benefits of using this hoist are labor saving, time saving, and lowering of working cost. When you will use this material handling equipment made by Reva Engineering Enterprises, you will notice increase in productivity and load capacity. Versatility is another advantage of using monkey hoist, as it allows movement of good, both vertically and horizontally.